No Music. No Life. A huge sign outside the store. 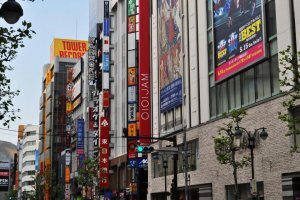 This nine story building is an iconic landmark in Shibuya located a three minute walk from Shibuya Station. The red and yellow branding is instantly recognisable and can be seen from quite a distance. 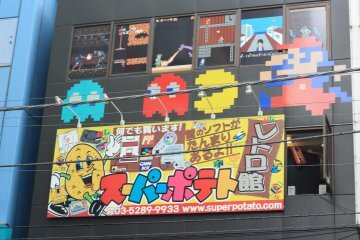 When I visited Shibuya I couldn’t help but be drawn into the store just because of the sheer presence of this building. 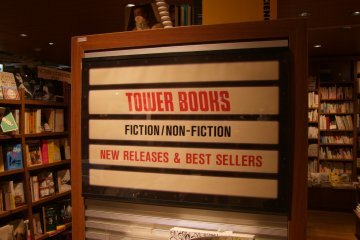 Tower Records, an American-based company, first came to Japan in 1979. 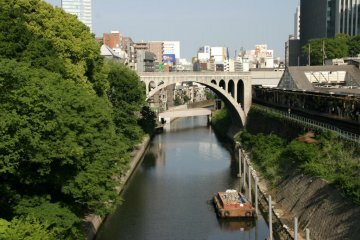 The first store was opened in Sapporo in 1980. The store in Shibuya, in this building, was opened fifteen years later in 1995 and is considered to be the flagship store. 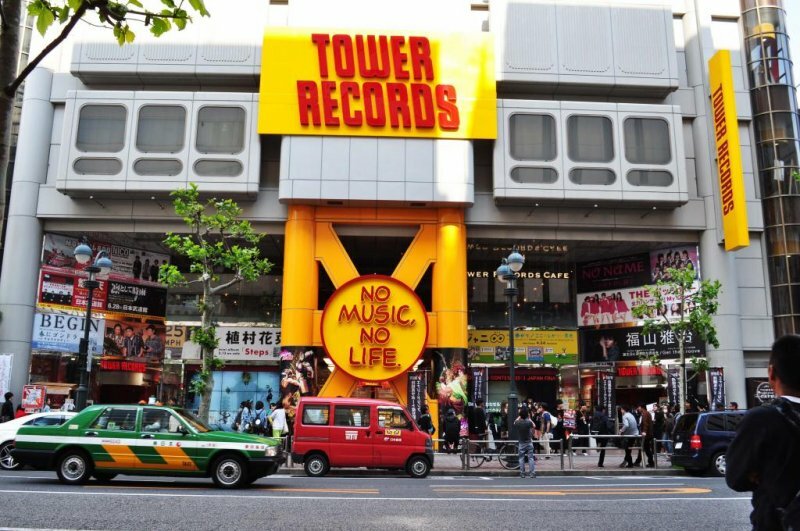 In 2002 Tower Records Japan became independent from the international chain store. 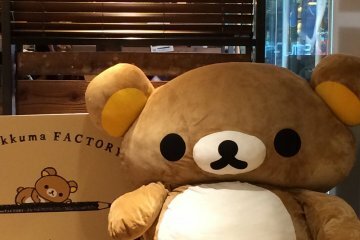 This course of action saved the Japanese stores from bankruptcy as the international chain of Tower Records liquidated in 2006. 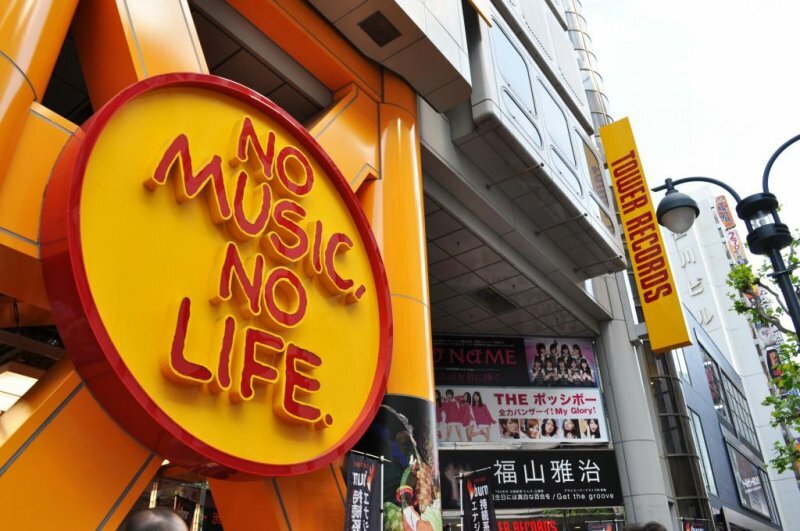 Tower Records Japan has eighty-three stores found throughout Japan. 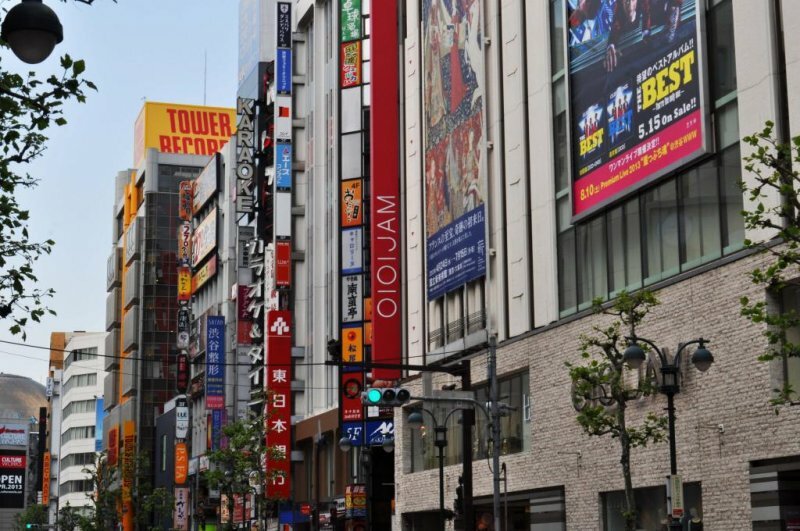 The store in Shibuya is considered to be one of the biggest CD retail outlet stores in the world. It occupies nine floors worth of CDs and books. Of these nine stories there is an excellent foreign book section on the seventh floor. 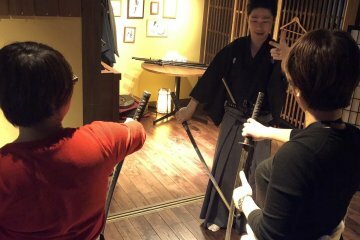 This floor contains an outstanding selection of books and magazines covering a wide range of topics in both English and Japanese. 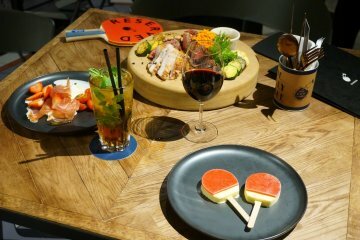 On the second floor you will find Tower Records Café, a place where you can enjoy a meal while reading your latest purchase, or simply order a take-away coffee to enjoy while browsing the shop. In the rest of the building every other floor is broken down into musical genres such as classical, pop, jazz, soul and J-pop (Japanese pop music). While in the basement of the building there is a stage for hosting live music events. Tower Records in Shibuya is a popular hangout for all ages however it seems to be especially popular with young adults. It is great to see how popular this CD store is considering the shift into the digital age of music buying. Many other stores have not been so lucky. 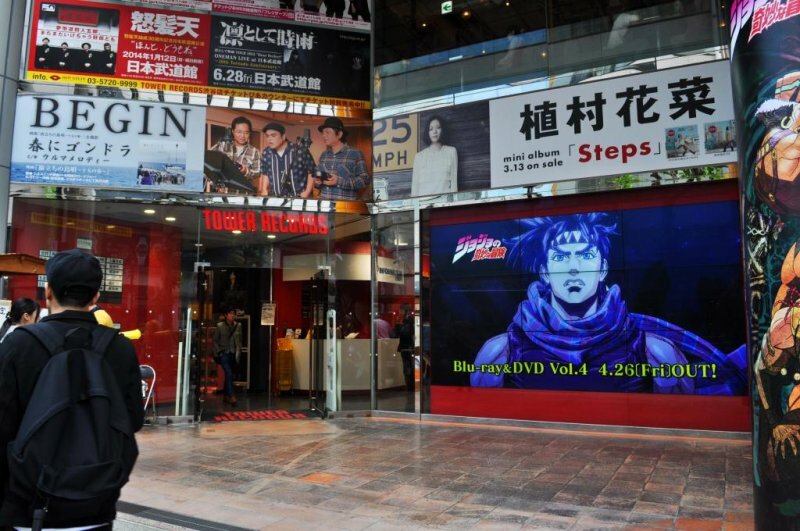 The act of buying an actual CD as opposed to a digital version is still very much alive at this store in Shibuya. Masses of people still come here to browse on the weekends or attend CD signing events from their favourite artists. 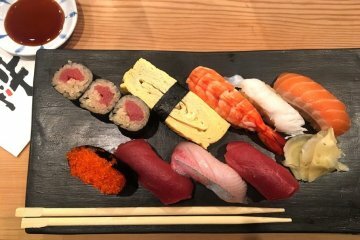 Been to Shibuya but have not visited this place yet. The foreign book section is great, it's probably my favourite part. Love this shop. They have a wide variety of foreign books that you wouldn't see anywhere else. 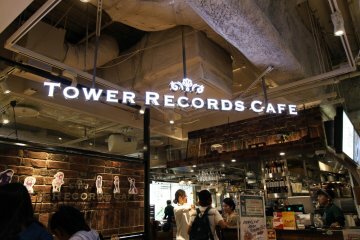 After renovating, they joined the Tower Records Cafe and the foreign book section. So you can pick a magazine that you want and read it on the counter, while enjoying a coffee.